Last week we took part in supporting the Tennis Industry Association (TIA) Forum at Wimbledon. 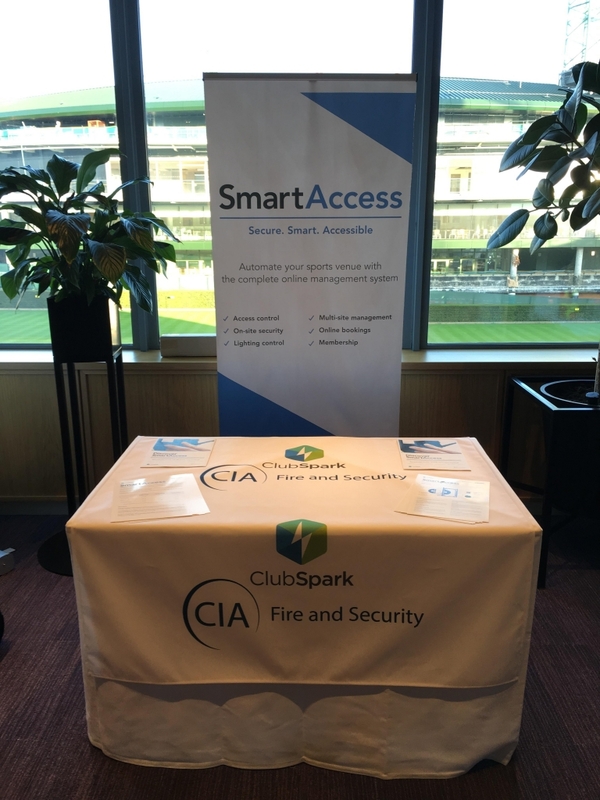 As supporters of the event we showed off the SmartAccess system alongside our project partners ClubSpark. Setting up in the Courtside Suite at Wimbledon we had some great views of the iconic venue and with a record attendance the delegates were well set to hear from industry speakers. A particular highlight was hearing from Scott Lloyd, the new Chief Executive for the LTA, on the upcoming strategy for the LTA’s part in growing British tennis. With over 100 delegates at the Forum we had the opportunity to engage with members of 25 clubs regarding SmartAccess. Some were existing clients who were looking to add to the modules they have on ClubSpark as well as integrate their lighting into the SmartAccess system. We also had the pleasure of meeting a number of new clubs who were interested in SmartAccess for their venues. SmartAccess is a flexible, reliable system that gives you complete control of your facilities. It allows you to manage access, lighting and bookings for your members as well as pay-and-play users. You can take care of all your club memberships via the ClubSpark platform as well as setup coaching sessions.